Today marks the fourth day I have been able to sit on the porch in January. Those of you residing in the sunny, warm parts of our nation won’t appreciate the novelty of this. Up in the northern climes January is usually frigid and snow-covered. Sitting on the porch on a normal January day usually involves taking off snow-covered boots and coats. But not this year. Sure, there’s still snow on the ground but not much. It’s been warmer than usual and the sun has been out more often. And a clear sky, with sun streaming through the porch windows, warms up the porch by noon. 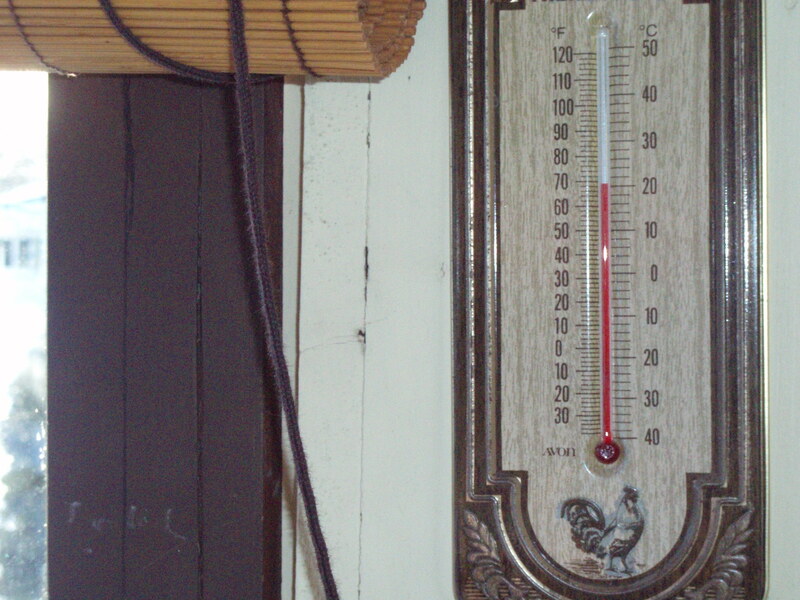 Today, the temperature on the porch was 70 degrees Farenheit. I even took a picture. Today, with the temp where it was, I spent a good three hours on the porch reading the newspaper, eating dinner, and simply doing nothing. 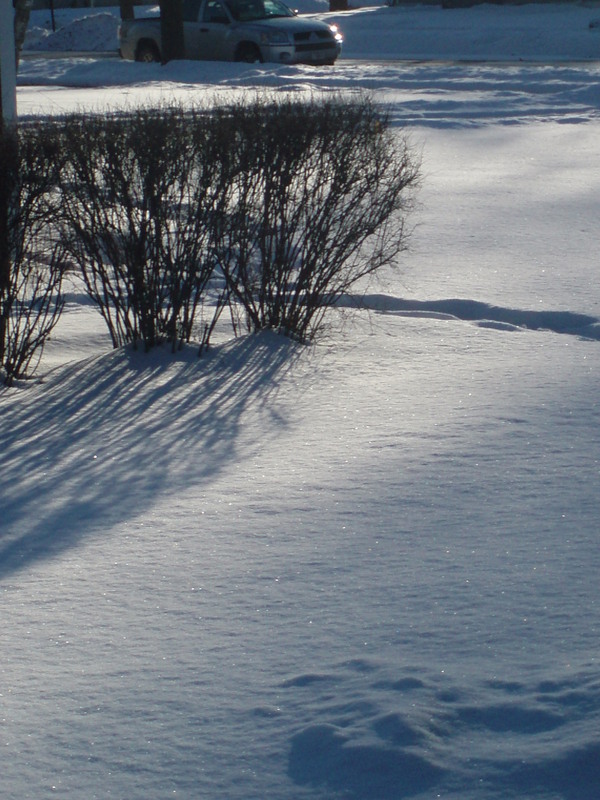 And, as I soaked in the sunbeam, I closed my eyes and listened to the drip of melting snow. In winter there is nothing more Heavenly than that. A flash of black caught my eye. A border collie! Mostly black but for the white of his belly. He bounded through the snow with a stick as long as his body clenched between his teeth. He turned then lay in the snow, waiting. But for what? A few moments later he was up on his feet, his tail wagging. He adjusted the stick, turned again, and bounded through the snow. He looked over his shoulder, with what looked like a grin. His joy became apparent. His master came into view. In the next yard the dog did the same as before. Down in the snow, stick between teeth. A dog full of glee, playing keep away from his master. This is a new and terrifying experiment for me. Blogging. Sharing words and art with the virtual world. Will my random ramblings be of interest to anyone but me? Will people find my blog? If they do, will they revisit? My goal with this blog is to share my stories, thoughts and artwork. And with that sharing, my hope is that a spark of creativity will relight the flame that waned so many years ago.